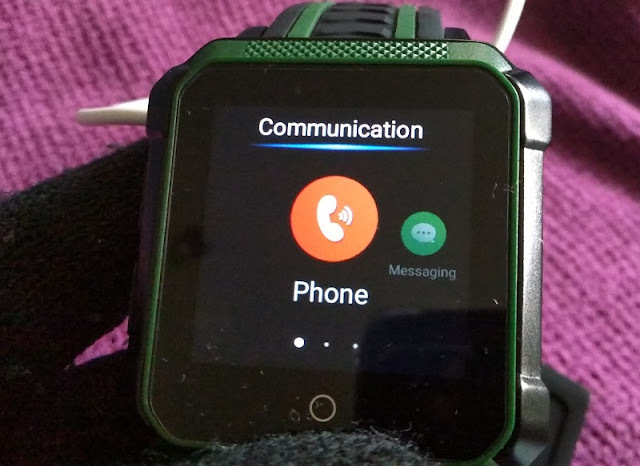 Who needs a smartphone when you have a smartwatch that can make and receive phone calls just a like a regular phone? 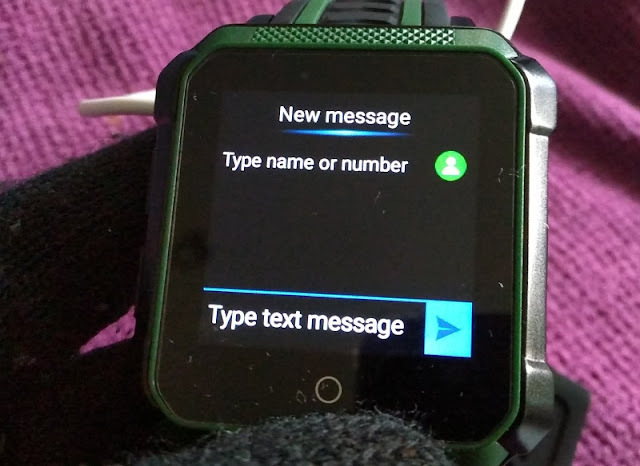 The Microwear H7 watch can have its own phone number and work on its own without having to be paired to a smartphone. 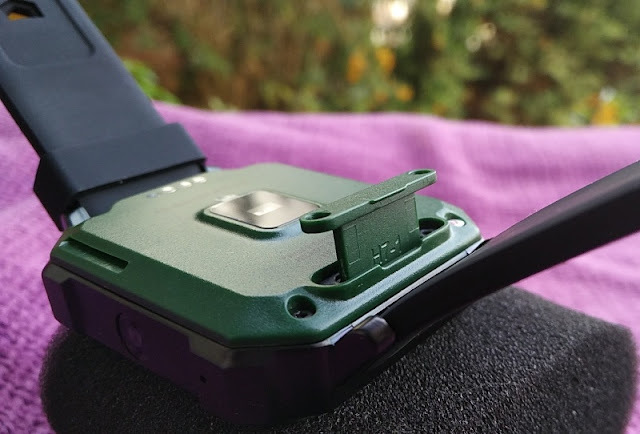 While the Microwear H7 doesn't support CDMA networks; hence you won't be able to make voice calls over CDMA networks such as Sprint and Verizon the H7 supports LTE, WCDMA and GSM networks. Most of the world uses the GSM 2G network so you can make and receive calls across GSM networks such as AT&T and T-Mobile. Saying this, some mobile carriers are planning to shut down their 2G networks. Verizon plans to shut down their 2G CDMA-based network by 31 December 2019, while Vodafone plans to shut down 2G GSM in Europe in 2025. 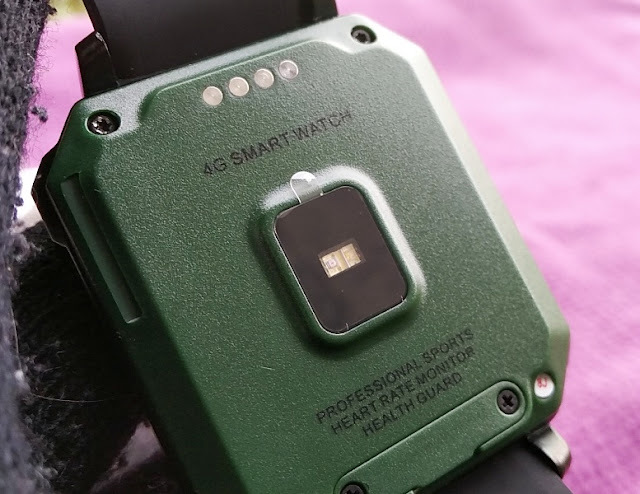 Since the Microwear H7 supports, LTE, WCDMA and GSM networks, it means the H7 supports 2G (GSM) , 3G (WCDMA) and 4G (LTE) data networks so the H7 is futureproof. 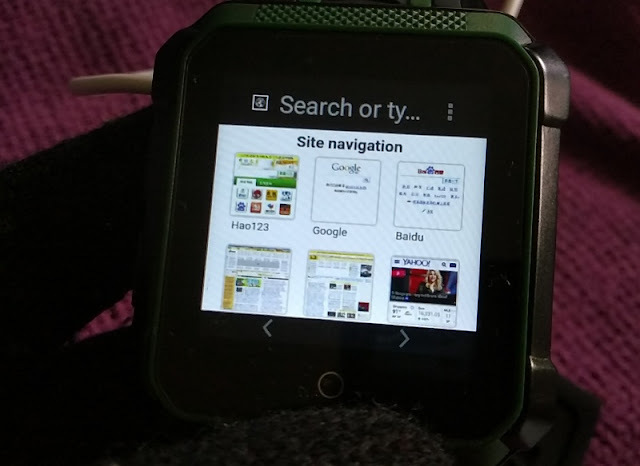 The neat thing about a 4G LTE smartwatch is that it benefits from higher data transfers up to ten times faster than 3G, between 20Mbps and 50Mbps faster so you can access the internet much faster. 4G also has wider coverage and complete privacy than Wifi so you won't have to use a Wifi hotspot to access the internet while worrying about security. A 4G network has a coverage 30 miles longer than WiFi, making it ideal for those in remote areas like the countryside. Amazing browsing speed isn't the only advantage of having a 4G device, it also means being able to enjoy high call quality via VoLTE (voice over LTE). The Microwear H7 Mediatek MT6737 system-on-a-chip (SoC) supports VoLTE. 4G VoLTE is great as long as the other device is VoLTE compatible too. 4G is mostly pluses/advantages but using 4G without VoLTE has one big drawback though and that is it consumes too much battery power because of the required switching from 4G to 2G/3G since 4G calls aren’t supported. 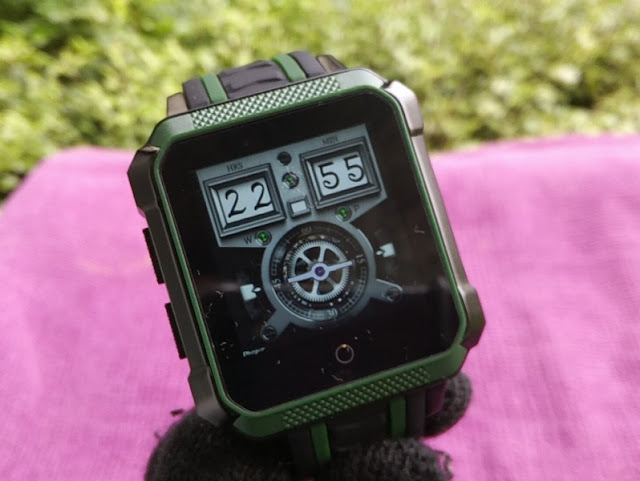 On full brightness under outdoor light, the Microwear H7 LCD 1.54-inch tempered mineral glass display is not particularly super bright but bright enough. Being a retina display with true tone, the H7 screen display packs more pixels (320 pixels across and 320 pixels down) giving a good contrast ratio and vivid color reproduction. 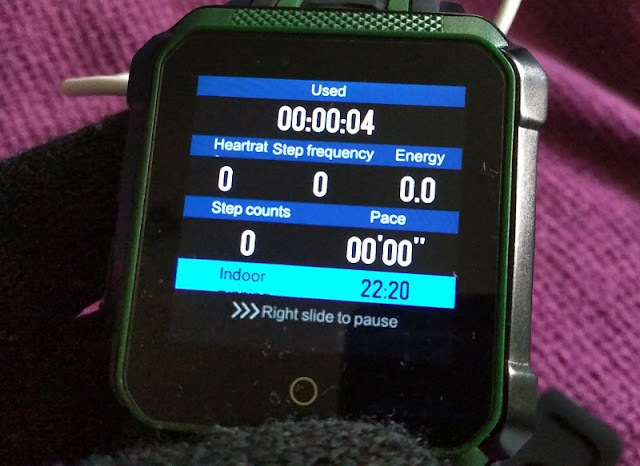 Internally, the Microwear H7 features a 600mAh li-on battery, a 3 axis accelerometer sensor, a GPS receiver, an altimeter and a barometer/air pressure sensor to help calculate the total step count when climbing hills or up the stairs. 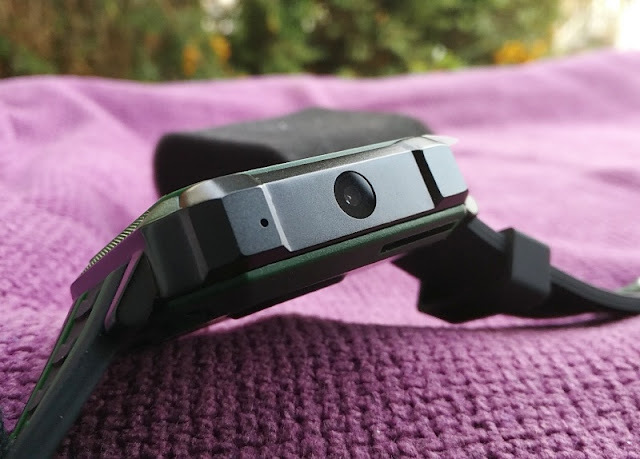 The 600mAh battery can last 3 days with normal use and takes 3.5 hours to fully charge. 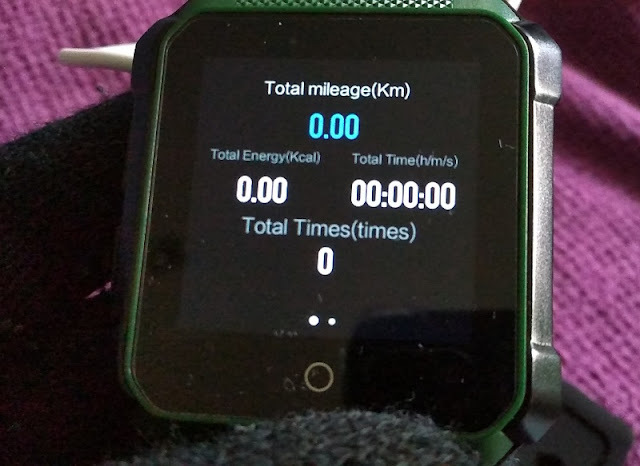 There is also an electronic compass built-in to the Microwear H7 for outdoor activity so you can tell in real time where you are going. 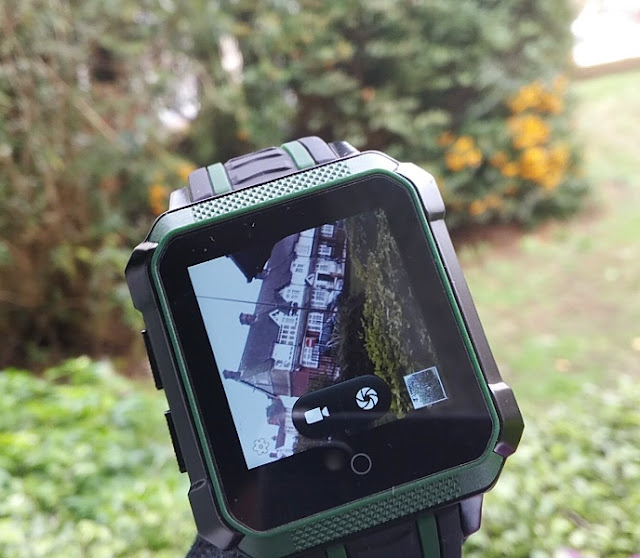 Speaking of positioning, the H7 smartwatch supports street view map on Google Maps so you can get a panoramic view from a street position. 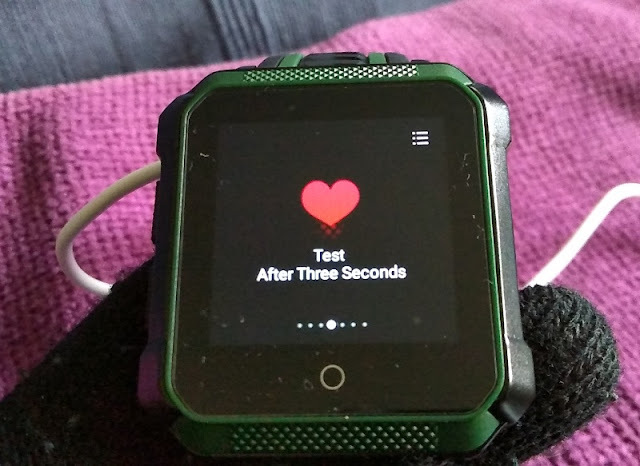 The heart rate function, sleep monitor function, compass function, pedometer function, weather function and air pressure function are accessed by swiping up on the main screen. 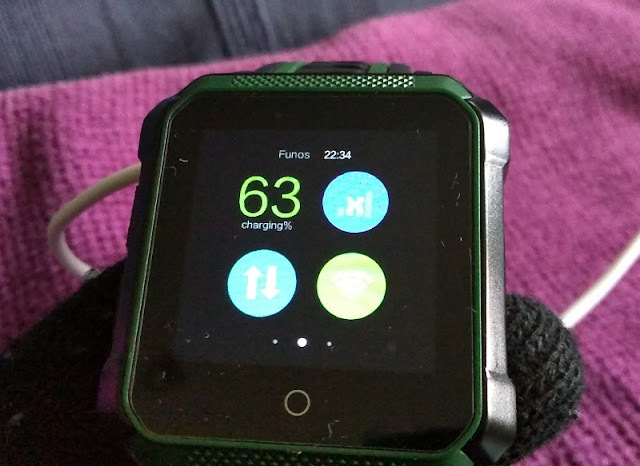 Sleep monitoring is automatically recorded from 9pm to 9am and so is the pedometer which saves the step count and distance automatically at midnight every day and resets the count to 0 for the following day. 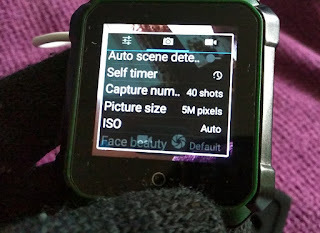 The 5 megapixel camera on the Microwear H7 captures good quality pictures and video; however, the camera is integrated on the side of the watch. 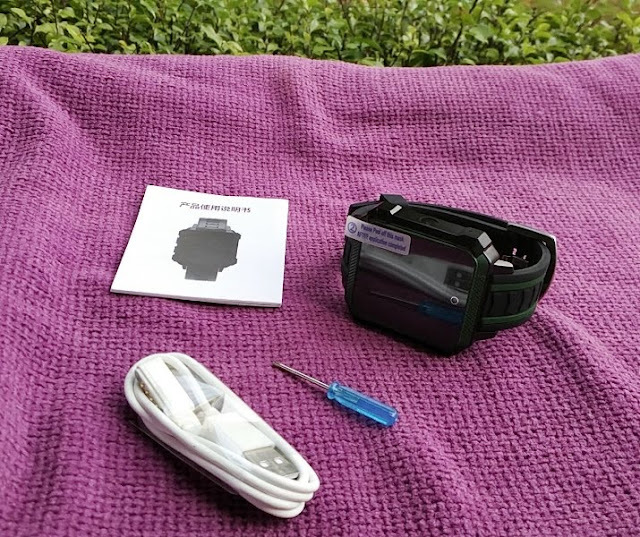 You get two built-in microphones on either side and a single AAC 0916 0.5W 93dB speaker on the back which is the same miniature speaker amplifier you get in smartphones. 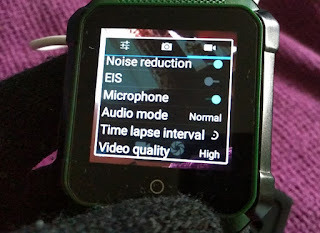 The speaker sound and mic sound quality is on par with a mid range smartphone which is pretty good. 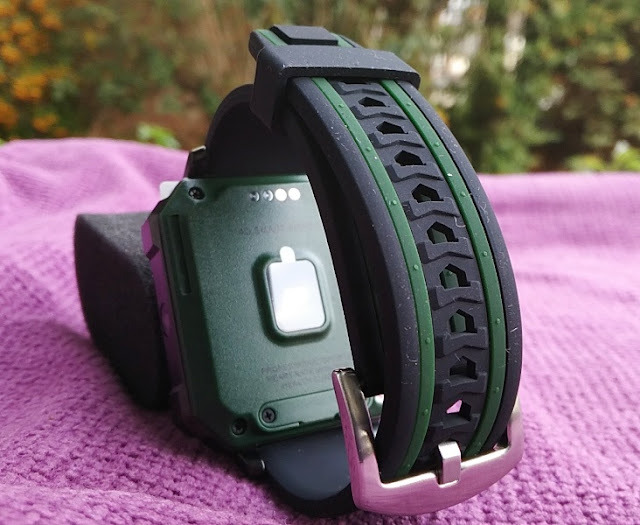 Other neat features which are rather unique because there are not found on most smartwatches are the SOS feature and the electric fence detector feature which triggers the H7 alarm when coming within 200 meters of an electric fence. 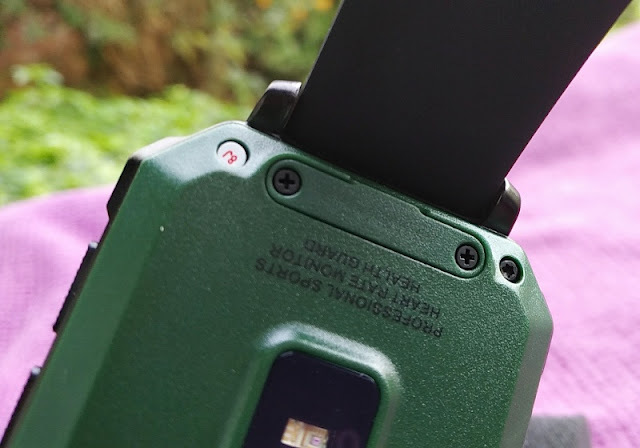 The emergency SOS, electronic fence, air pressure/temperature, altitude, route tracking, instant positioning and smart navigation all function via GPS signal. 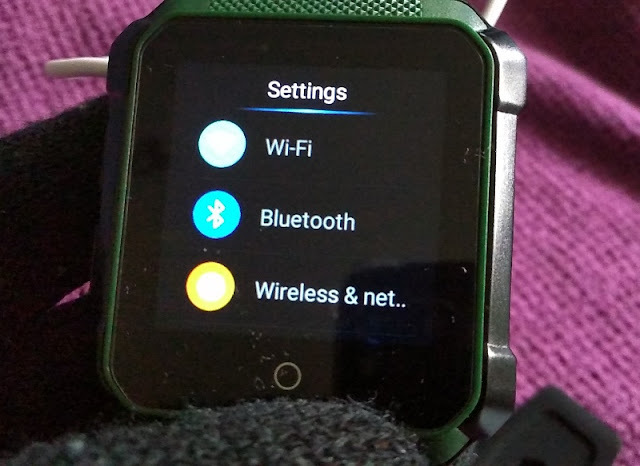 You can connect the Microwear H7 to a Wifi network and bluetooth pair (via bluetooth 4.0) with Android 4.4 (and above) devices and iOS 8 (and above) devices. 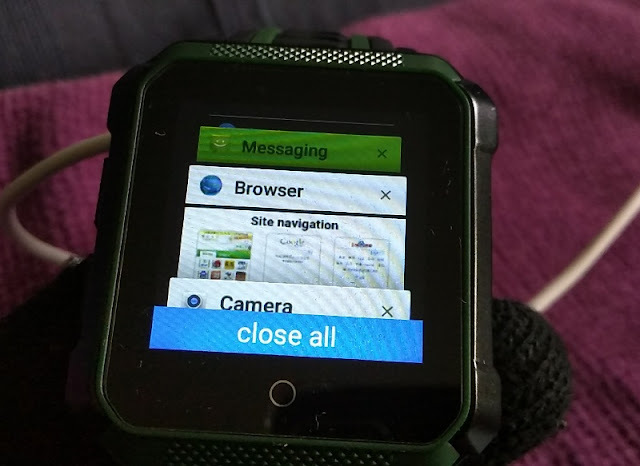 To connect the Microwear H7 to a smartphone, you will to use the built-in Fundo app. 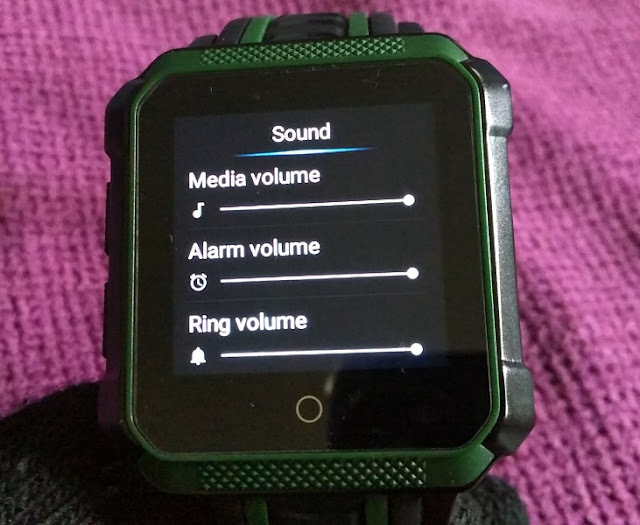 Voice memo, music player, gallery, video, stopwatch, alarm clock, countdown, calculator, calendar and camera are other built-in apps you get with the Microwear H7. 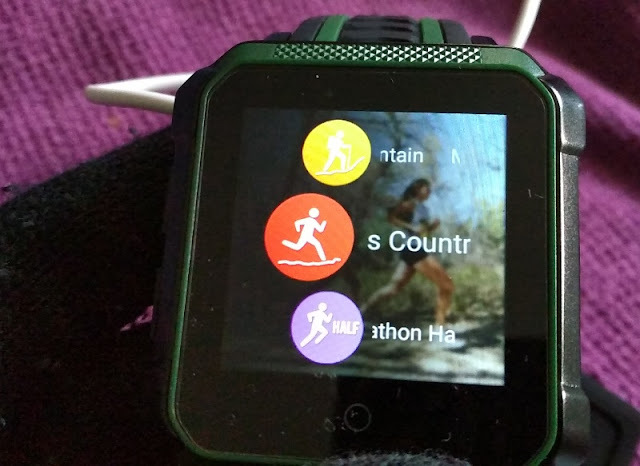 When using GPS positioning for workouts, you will need to first setup your GPS position via the built-in FangZouDiu app in the Microwear H7. You have to register an account with FangZouDiu in order to setup the SOS feature so you can add friends and their contact numbers to a group. 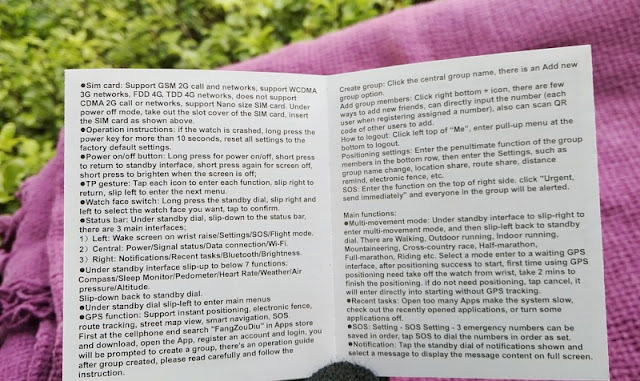 You can then have up to three persons from a group receive your SOS message. 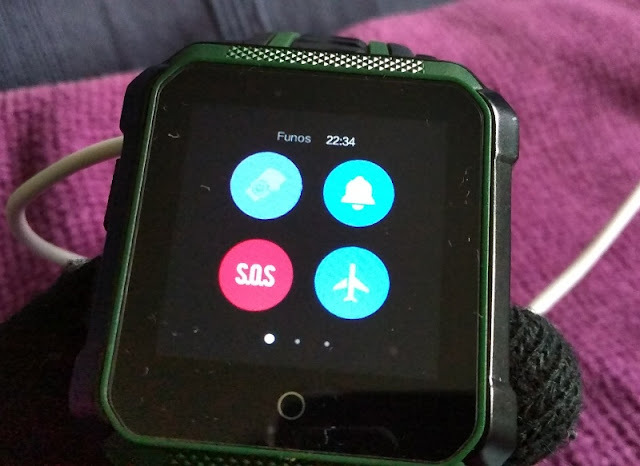 The SOS trigger is located in the Status Bar menu which is accessed by swiping down on the main screen and then swiping left to access the submenu which contains also the settings page and flight mode page. 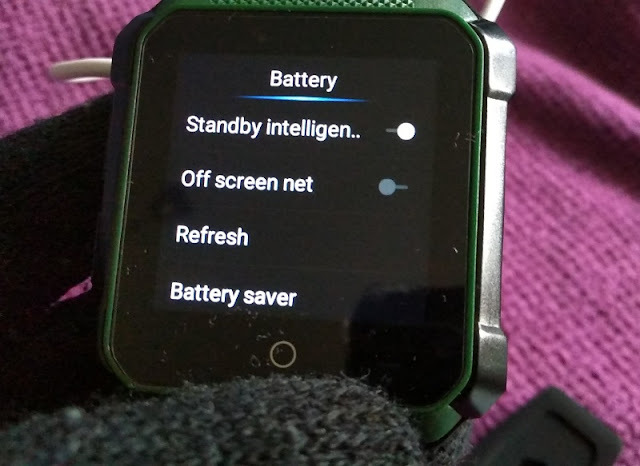 From the Status Bar menu, you can also access the network settings and mobile data, as well as notifications, recent tasks, bluetooth and brightness level. 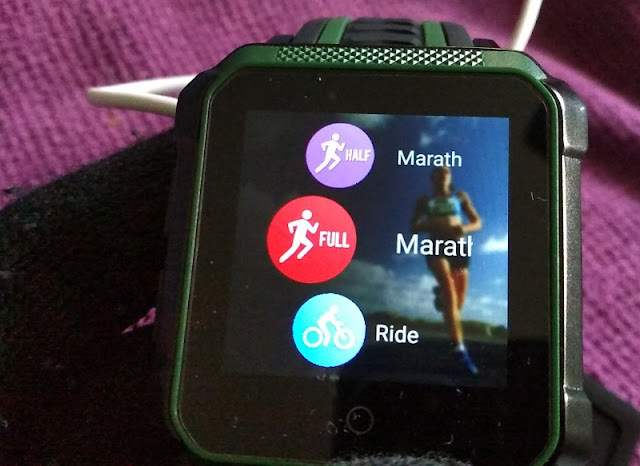 There are several workout type options (indoor running, cross country, half marathon, etc) integrated in the Microwear H7 smartwatch that let you track your exercise with or without GPS tracking. 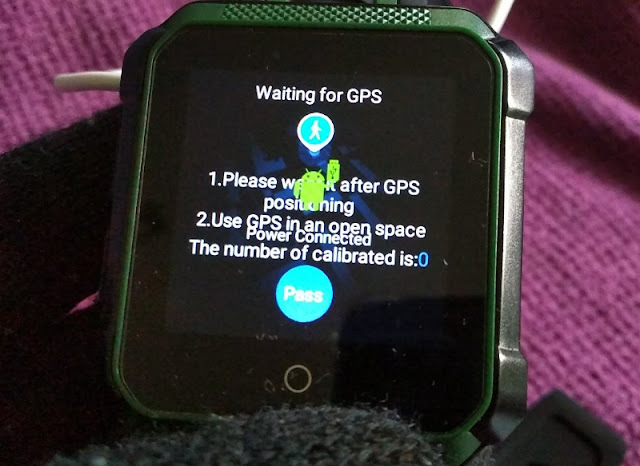 To track the exercise with GPS you need to take off the watch from your wrist for 2 minutes to let the GPS find your location. 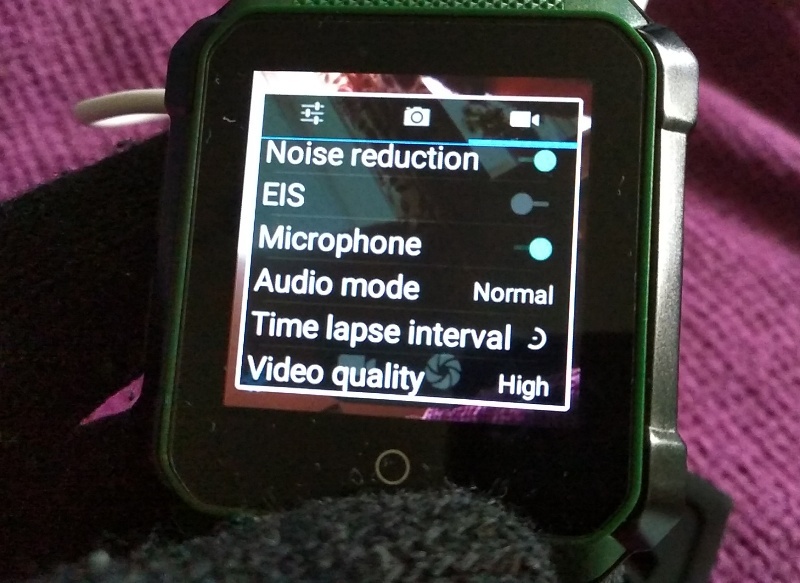 Languages the H7 can be set to include Chinese, Traditional Chinese, English, Russian, Spanish, French, Japanese, Italian and German. 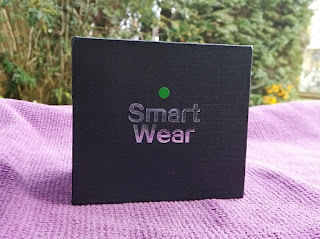 The brains of the Microwear H7 is a Mediatek MT6737 1.1GHz quad core processor with 1GB of RAM and 8GB of total internal storage (only 4.39GB available right of the box). The 1.1GHz processing power feels pretty nippy. 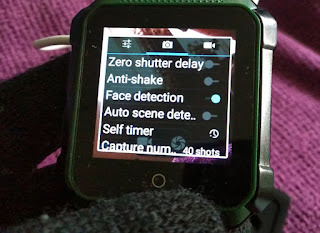 It's also neat that the H7 features a sensor hub with an integrated processor to offload sensor processing tasks to free CPU, extend battery life and provide even better performance out of the Microwear H7 smartwatch. 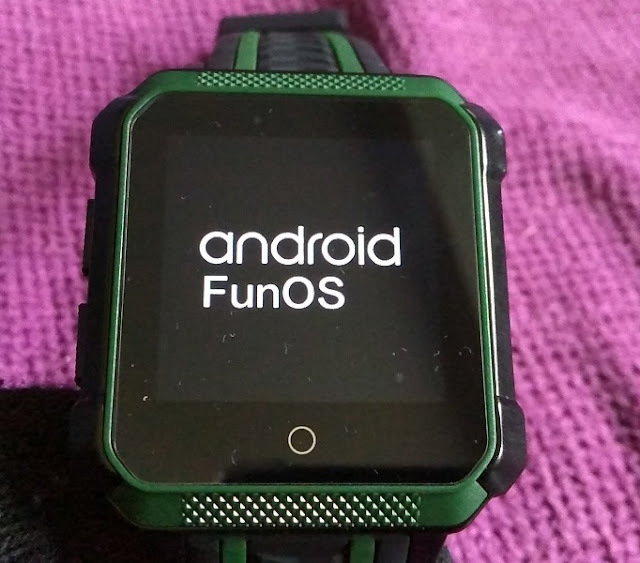 The H7 smartwatch is powered by the Android 6.0 version of FunOS (instead of Android 4.4 KitKat) which is a good thing because it means you can download third-party apps. 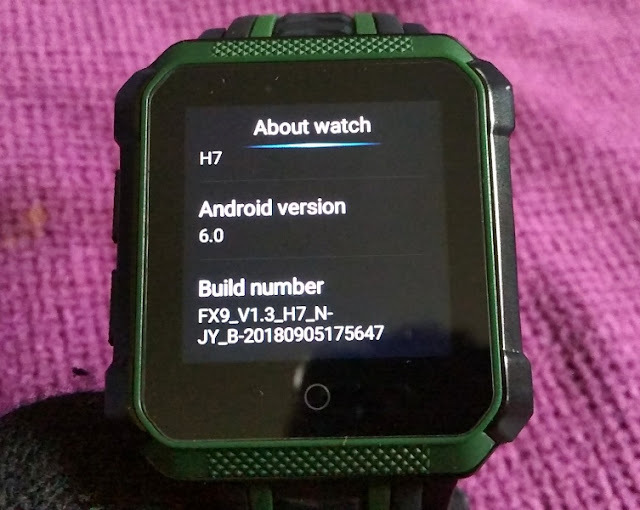 The H7 smartwatch firmware is also upgradable via firmware updates by Microwear which is always a good thing for fixing bugs and adding new features. 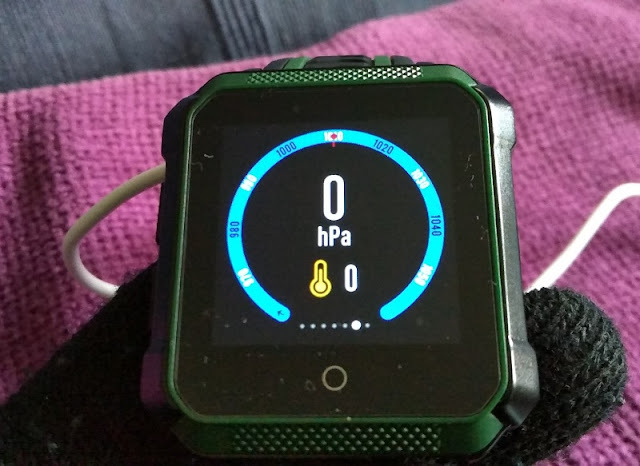 Operating the Microwear H7 is intuitive. 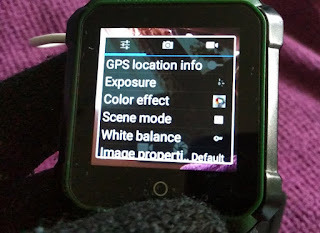 Simply swipe left, right, up and down, and scroll to access the menus and submenus. 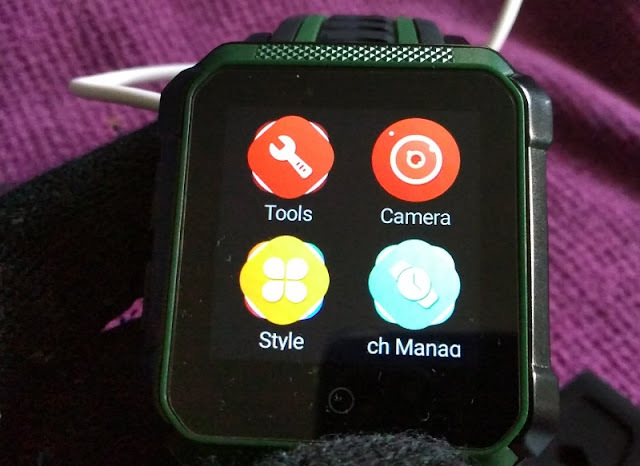 Swiping the screen down takes you to the FunOS screen menu, while holding down your finger on the main screen brings up the watch face selection with more than 10 watch faces to choose from. 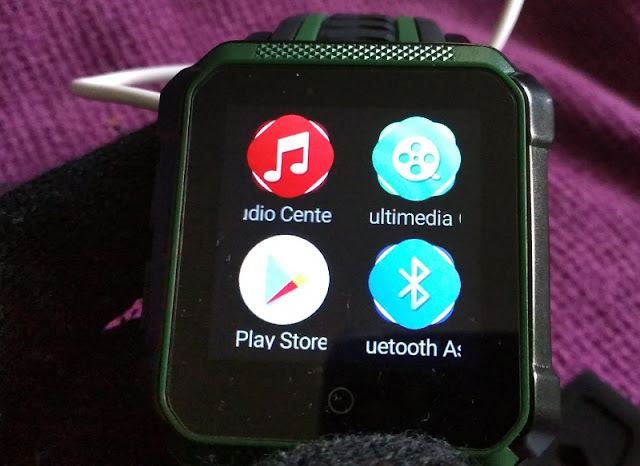 The bottom button is the power button and screen lock. 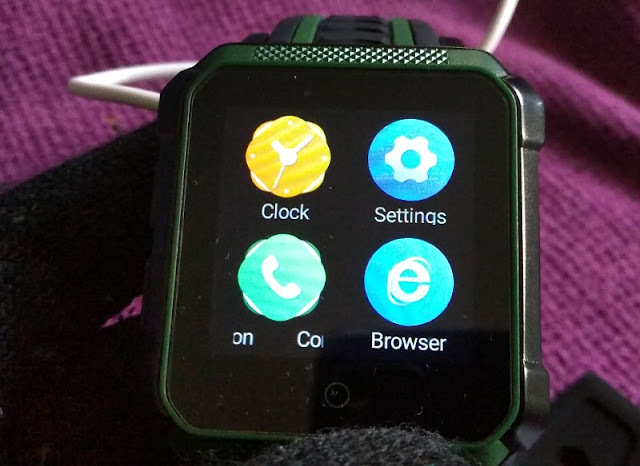 The top button doubles as the back button and the button that brings up all the recent open apps. 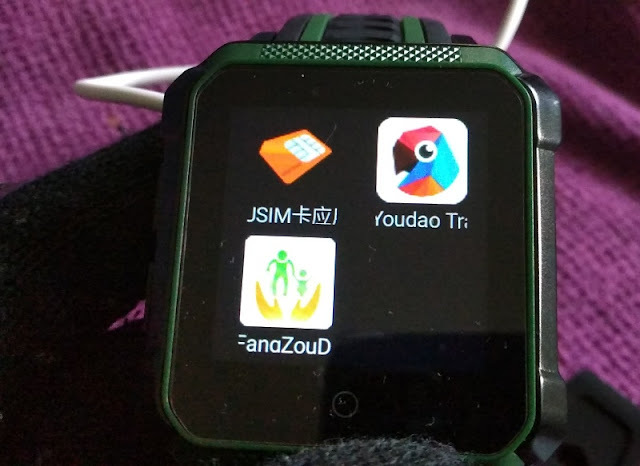 Speaking of apps, one of the many built-in apps you get in the H7 include a language translation app called youdao dictionary which works like Google translate. 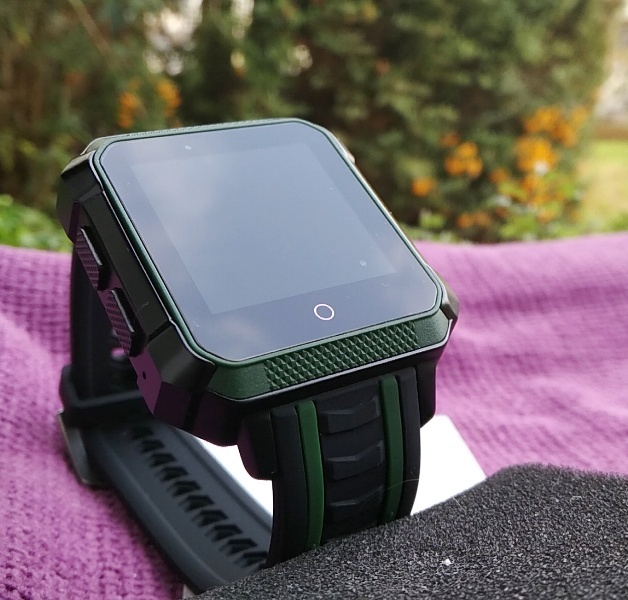 The Microwear H7 wristband is made of TPU rubber, while the body is made of alloy and so is the solid back cover where you find three charging metal contacts, the heart rate sensor and a nano SIM card tray hidden inside the body of the Microwear H7. 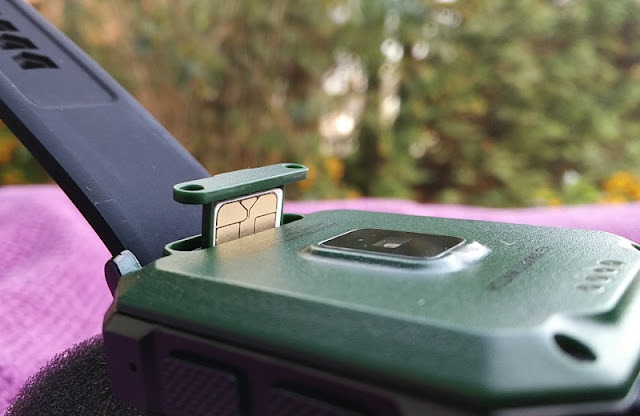 The nano SIM card tray on the back of the Microwear H7 lifts off after removing the two small phillips screw heads on either side. 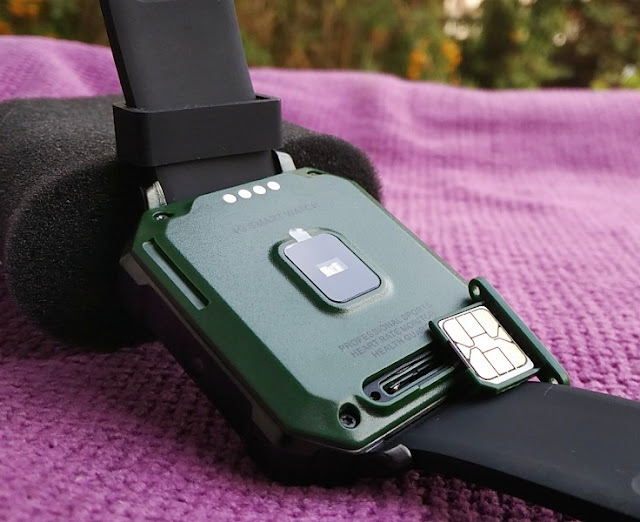 The 4-pin smart-watch magnetic charging cable connector attaches to the three metal contacts on the back of the Microwear H7 magnetically. 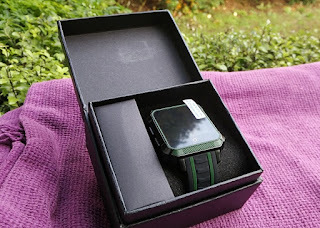 The magnetic charging connection is weak so you definitely won't be able to dangle the watch with it. 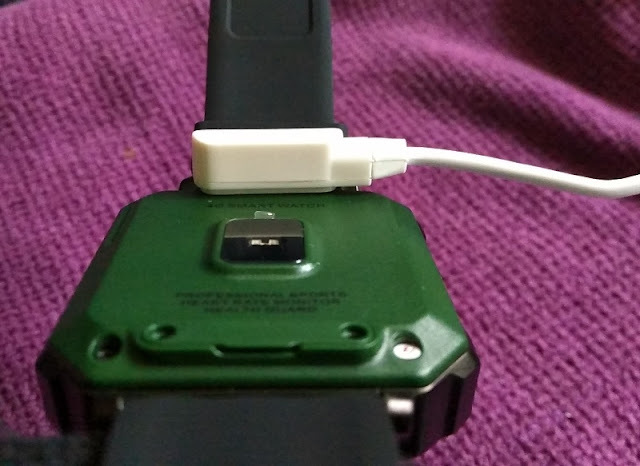 Stronger magnets on the charging connector would be a good idea. 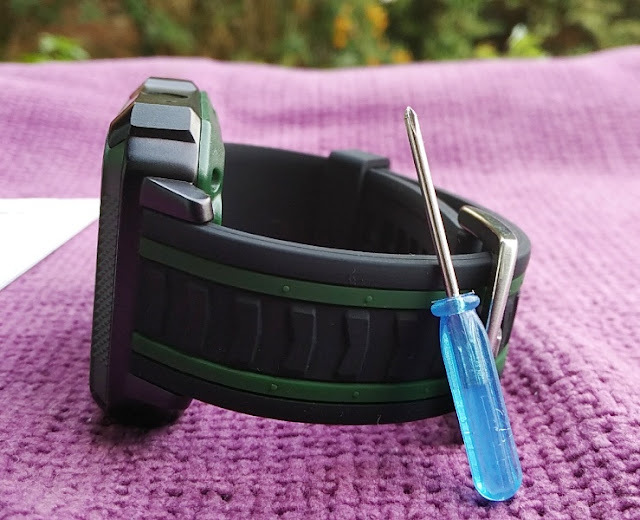 The magnetic connection does stay put if you don't move the watch while it's charging so it's a good idea to set the smartwatch aside or hold it with your fingers if you want to use it when it's charging. 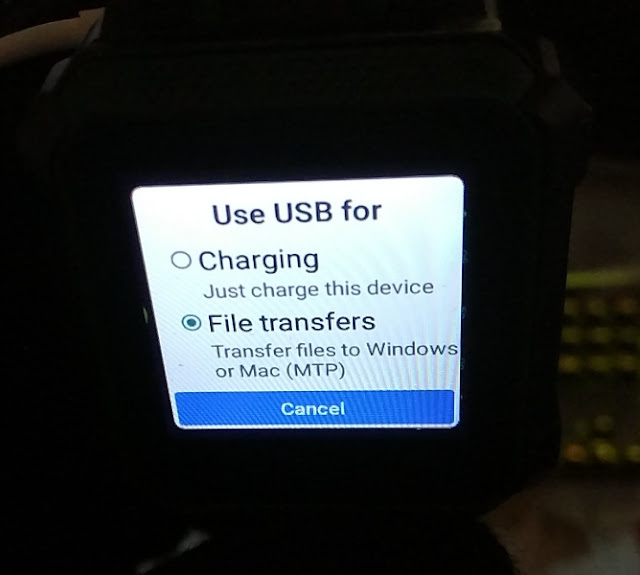 Saying this, the 4 pin to USB charging cable connector is generic (not proprietary) so you can easily and cheaply get a replacement or a spare from eBay. 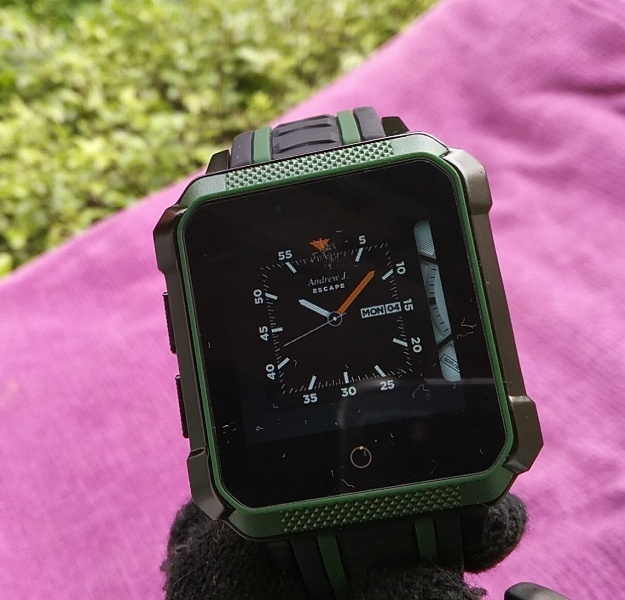 Dimensions of the Microwear H7 are 45.5mm wide and 15mm thick with a 260mm wrist circumference. The total weight is 130 grams. 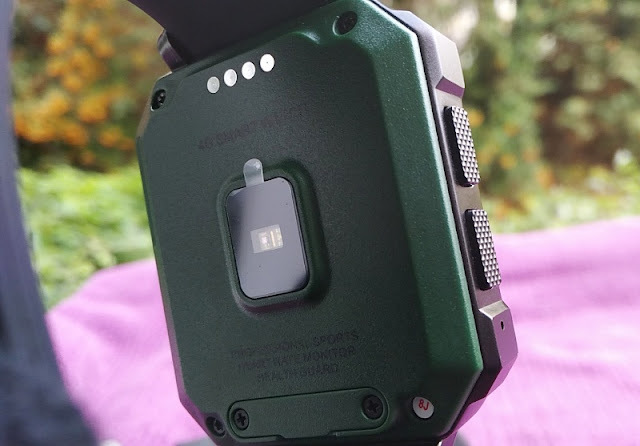 The Microwear H7 has an IP68 rating so it's dust tight and water tight; hence the Microwear H7 can be submerged under water up to 1.5 meter for 30 minutes.